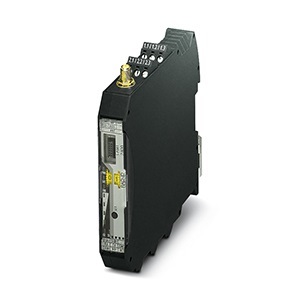 Designed for use in the license free 900MHz ISM band (available in North and South America), this radio enables short range, non-line-of-sight communications of I/O signals. Up to 18 miles is possible with line of site and proper antennas. The radio can also be used as wireless RS-232 or RS-485 serial connection. 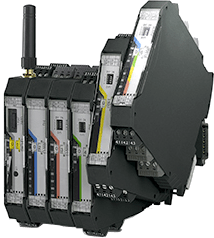 Like the entire line of SATEL-LP radios, this radio can accept up to 32 attached I/O expansion modules via the included T-bus connector. 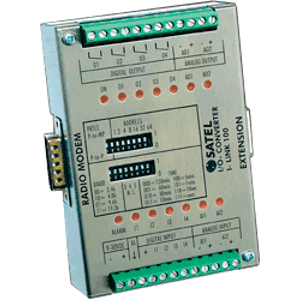 The radios are are DIN-rail mountable and don’t require any software or programming to use, though advanced customization is available via the SATEL-LP configuration software. Multiple network types are available including point-to-point, star, and auto-configuring, self-healing mesh networks of up to 250 devices. 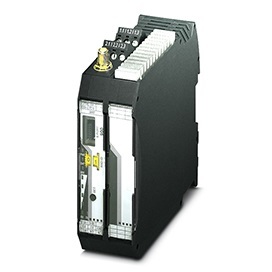 All I/O data is also accessible via Modbus RTU or Modbus TCP (using a protocol converter).